Hot chocolate + medicinal mushrooms, what’s not to like? Nourish yourself deeply by drinking this as a daily morning tonic. 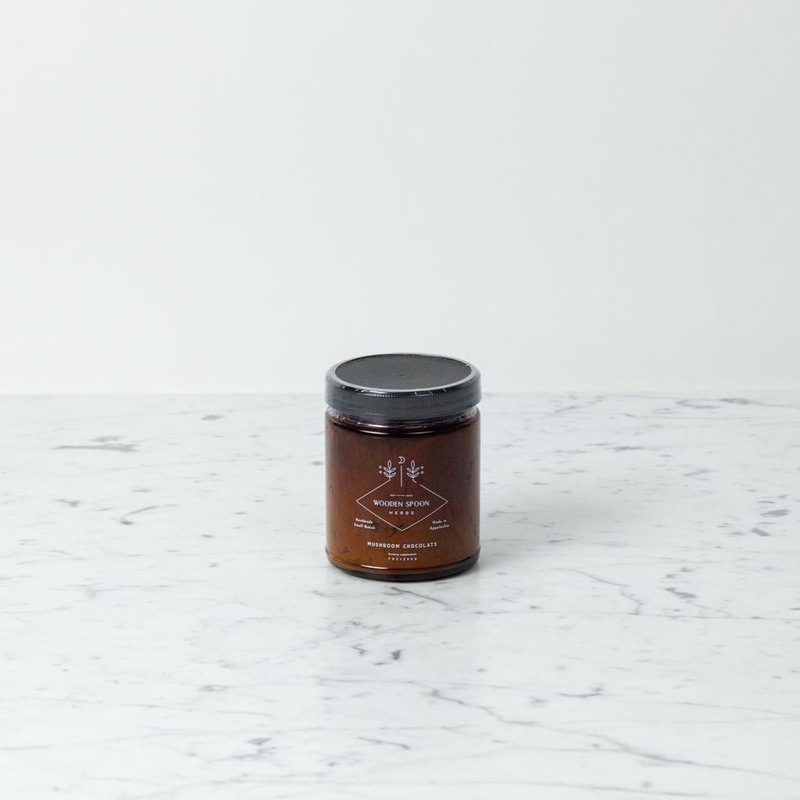 Our medicinal mushrooms are all cultivated in upstate New York, never wildcrafted, and are thoroughly extracted via a long decoction before being powdered. This makes them super bioavailable and ready to give hugs on a cellular level. * Chaga is an adaptogenic medicinal mushroom that tastes amazing, deep and earthy and smoky. Cordyceps is an adaptogenic medicinal mushroom with an affinity for the lungs. It also helps bring more oxygen into the body, and is used a lot for athletes. Lion’s mane is an adaptogenic medicinal mushroom with an affinity for the brain and nervous system. Turkey tail is a lesser-known adaptogenic medicinal mushroom with an affinity for the immune system. (All medicinal mushroom descriptions here barely scratch the surface. Research these mushrooms to have your mind blown!) 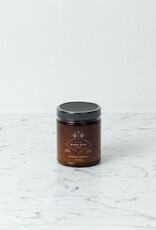 Ingredients: fair trade raw cacao*, coconut cream*, mesquite*, six mushroom extract blend (chaga, cordyceps, reishi, turkey tail, lion’s mane, artist’s conk)**, vanilla bean* (*certified organic, **cultivated without chemicals) To use: Whisk 1 tablespoon into 8 ounces hot water or warm milk. Sweeten to taste. 9 ounce jar. *These statements have not been evaluated by the FDA. This product does not intend to treat, diagnose, cure, or prevent any disease. If you’re pregnant, breastfeeding, or on any medications, please consult with a qualified health professional before beginning any new herbal products.